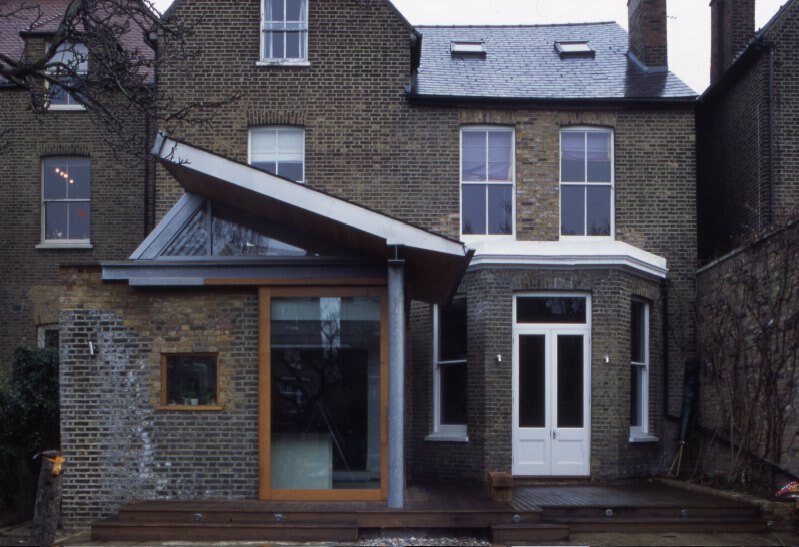 Conversion of four flats into a single-family house including single storey rear extension in a conservation area. 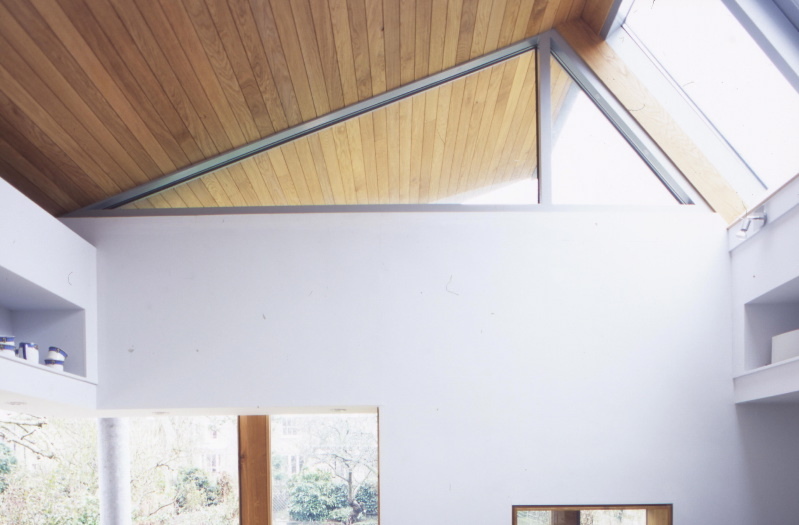 The rear of the property faced southeast. 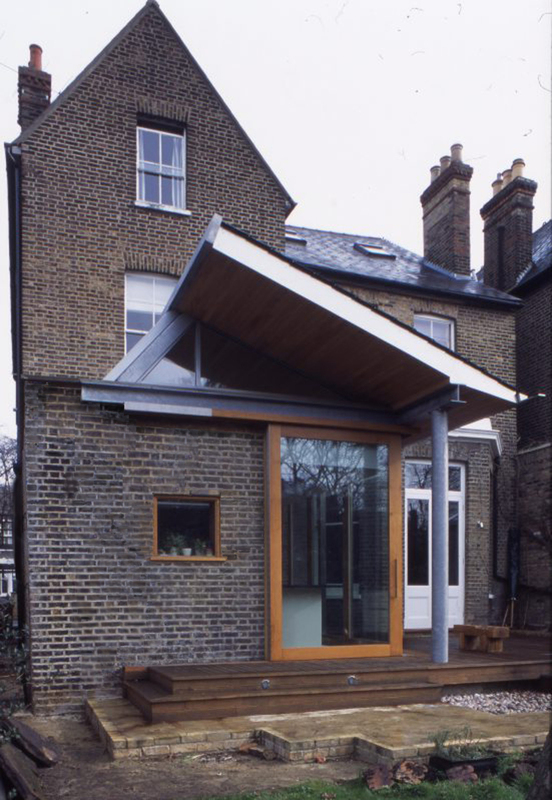 The large overhanging roof to the new extension prevents solar gain and created opportunities for north or indirect light. 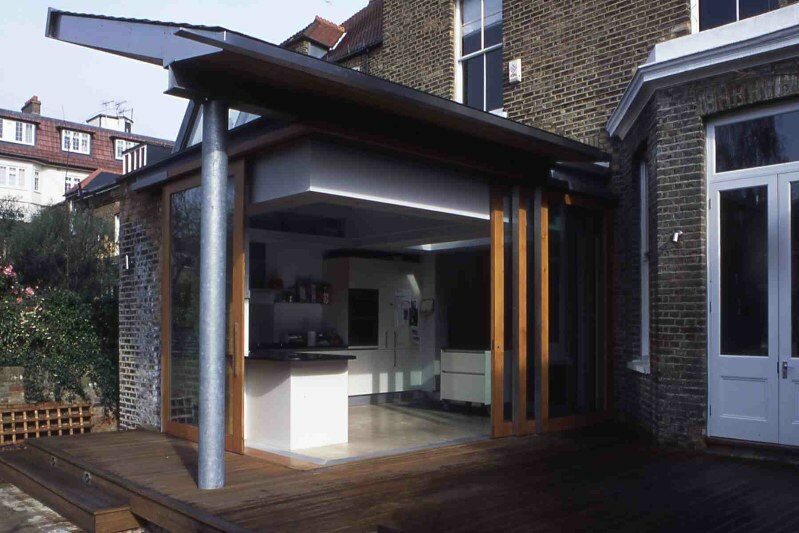 The roof also protects the large sliding doors and allows for opening them on warm rainy summer days. 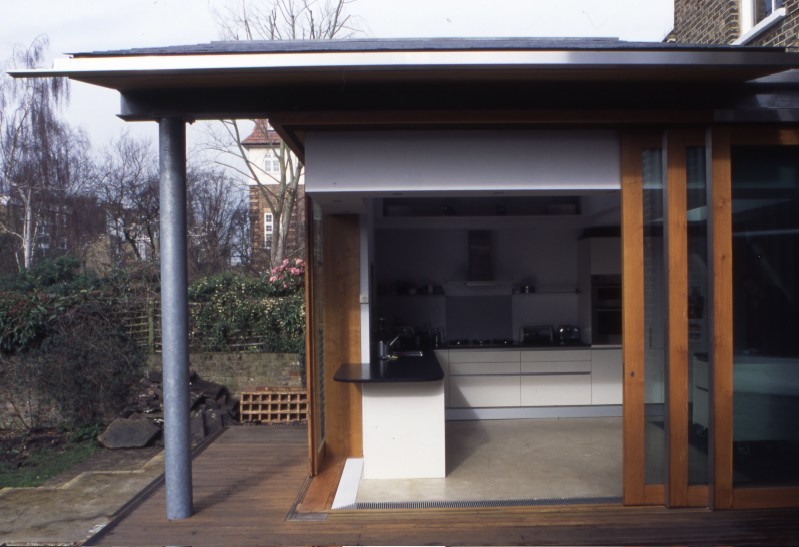 The overhanging roof, the flush threshold and the sliding doors all allow for the blurring of the boundary between outside and inside creating greater flexibility and opportunities of living.